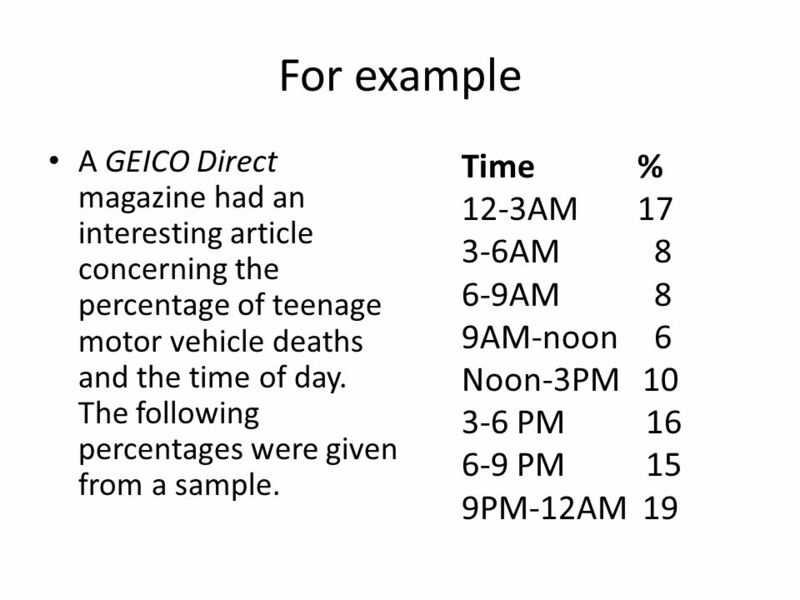 Is the percentage of teenage motor vehicle deaths the same for each time period? 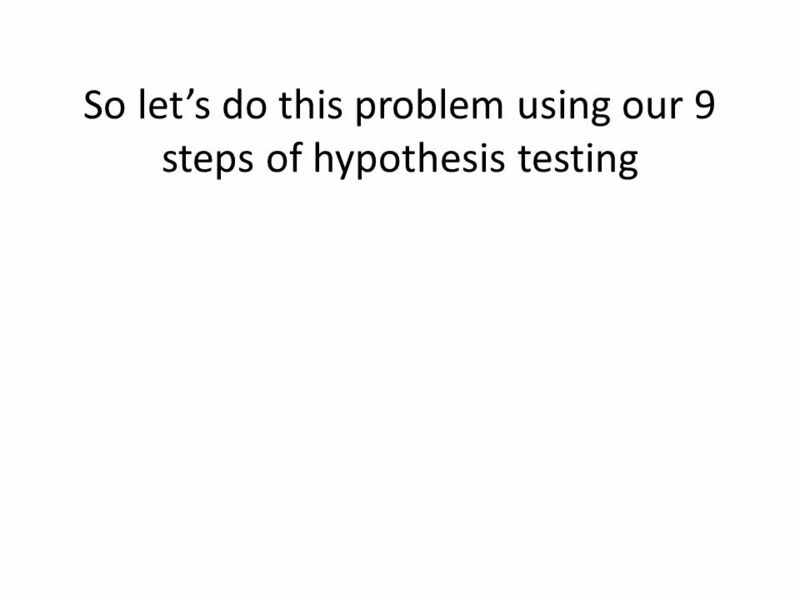 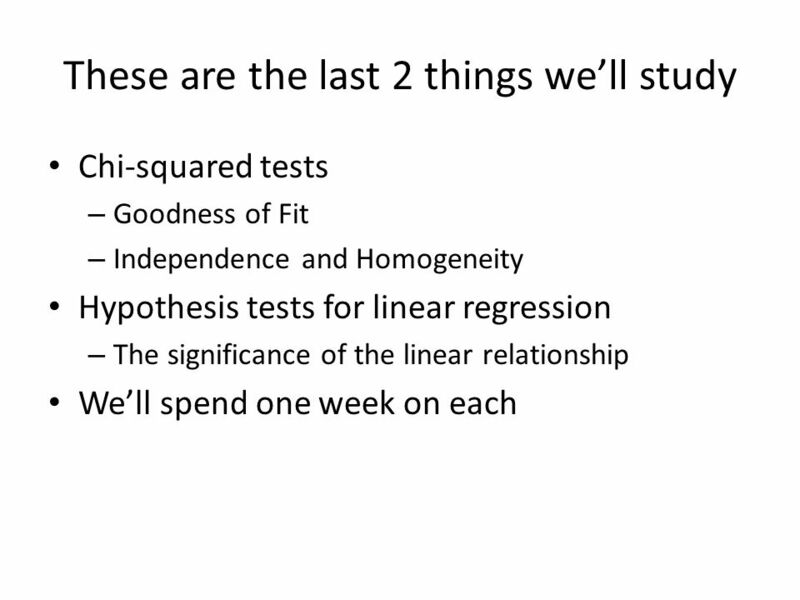 Conduct a hypothesis test at the 1% level. 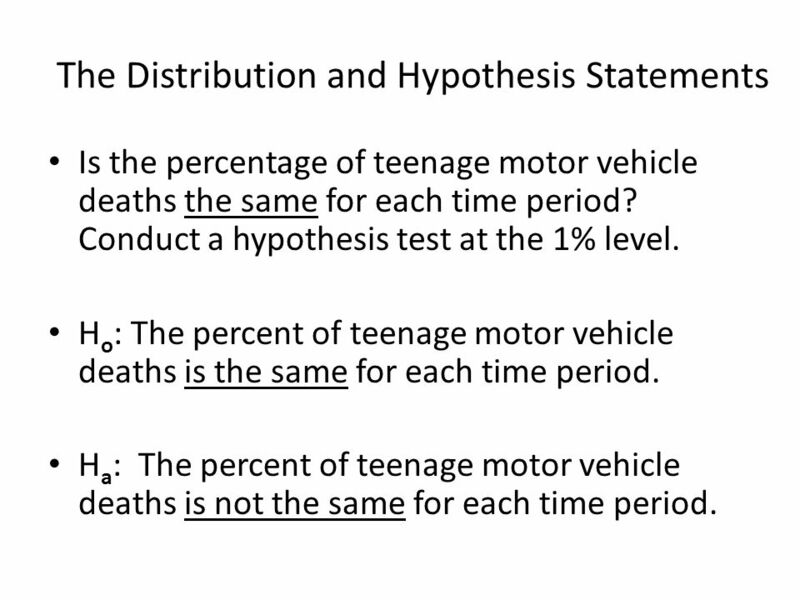 Ho: The percent of teenage motor vehicle deaths is the same for each time period. 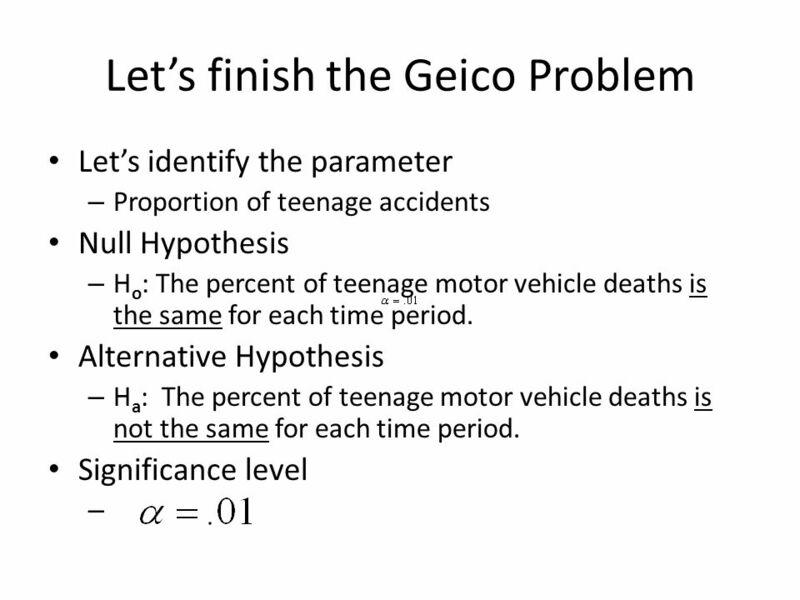 Ha: The percent of teenage motor vehicle deaths is not the same for each time period. 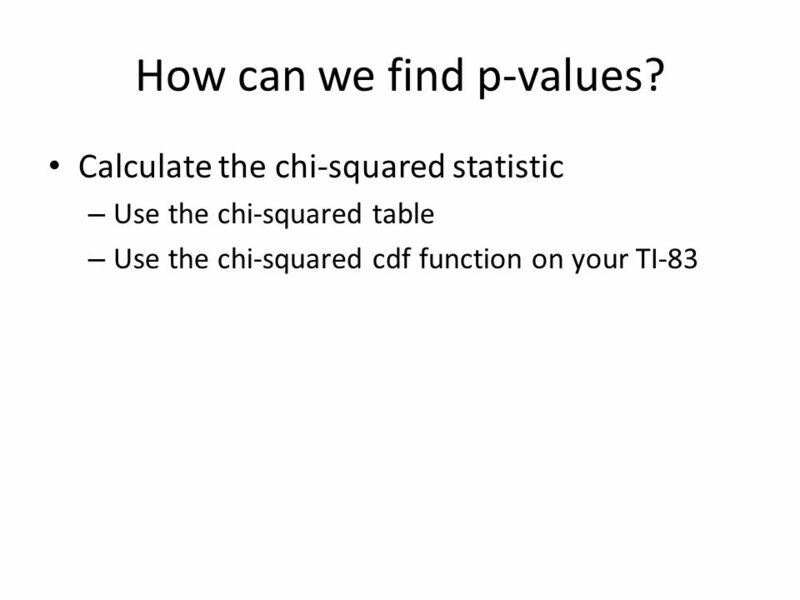 13 How can we find p-values? 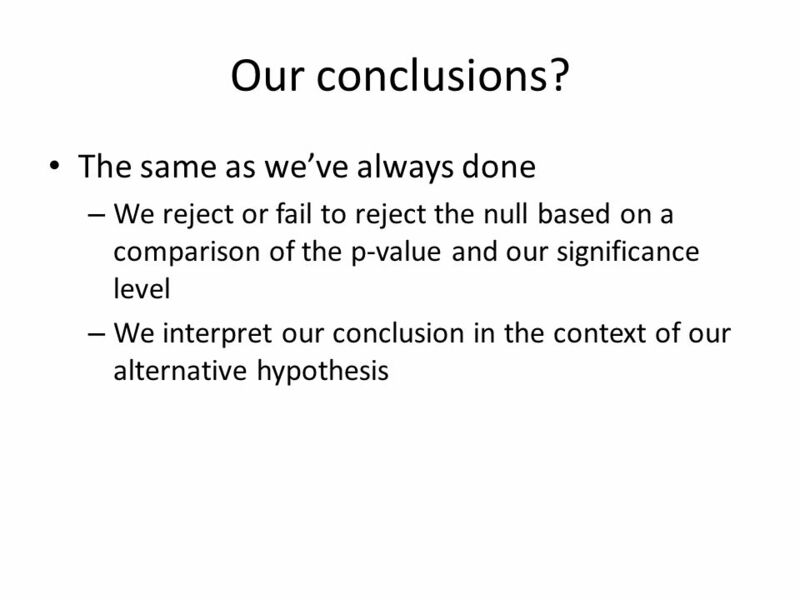 23 Conclusion We fail to reject the null hypothesis because the p-value (.056) is greater than the significance level (.01). 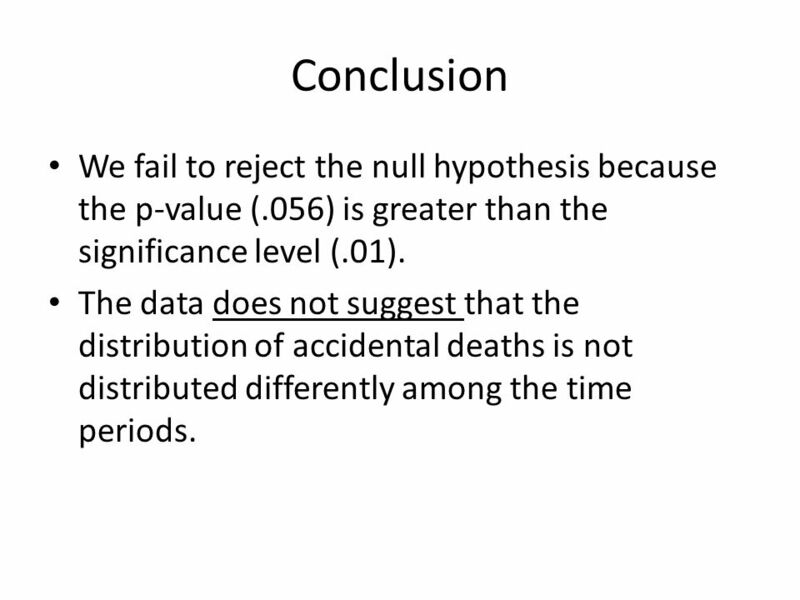 The data does not suggest that the distribution of accidental deaths is not distributed differently among the time periods. 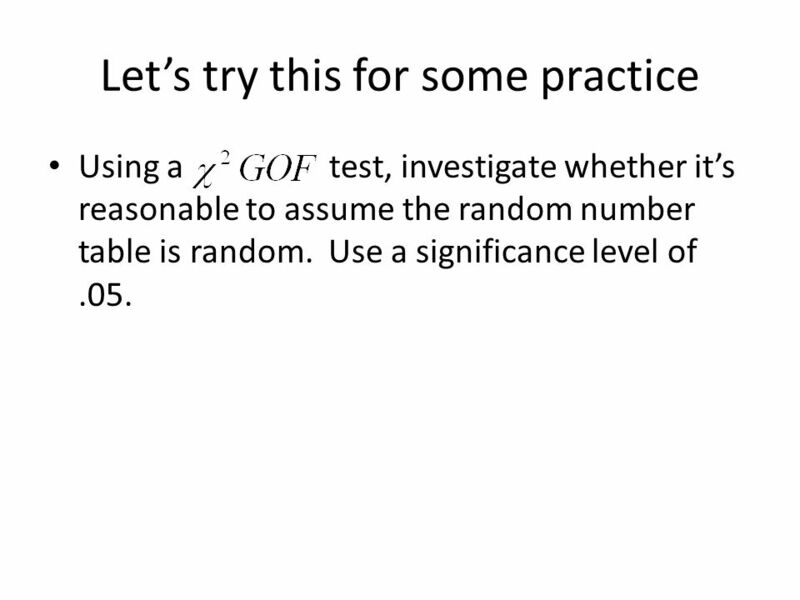 Using a test, investigate whether it’s reasonable to assume the random number table is random. 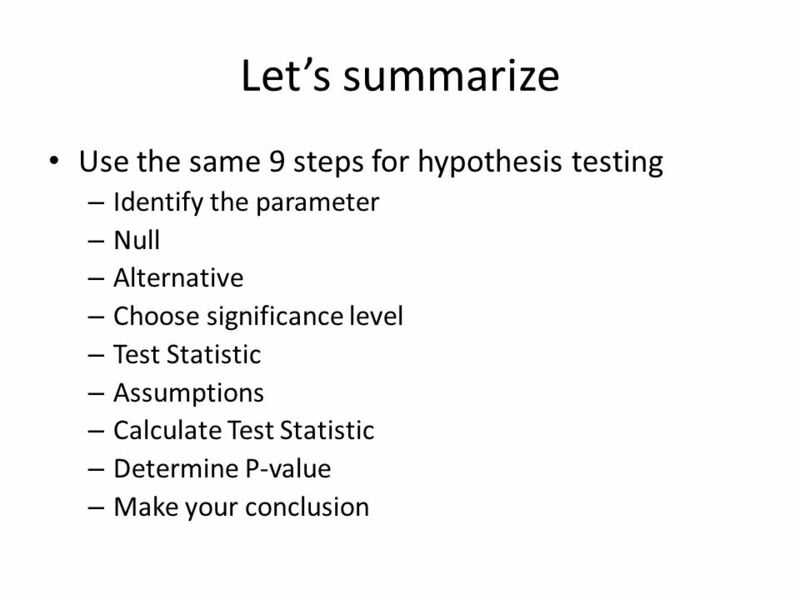 Use a significance level of .05. 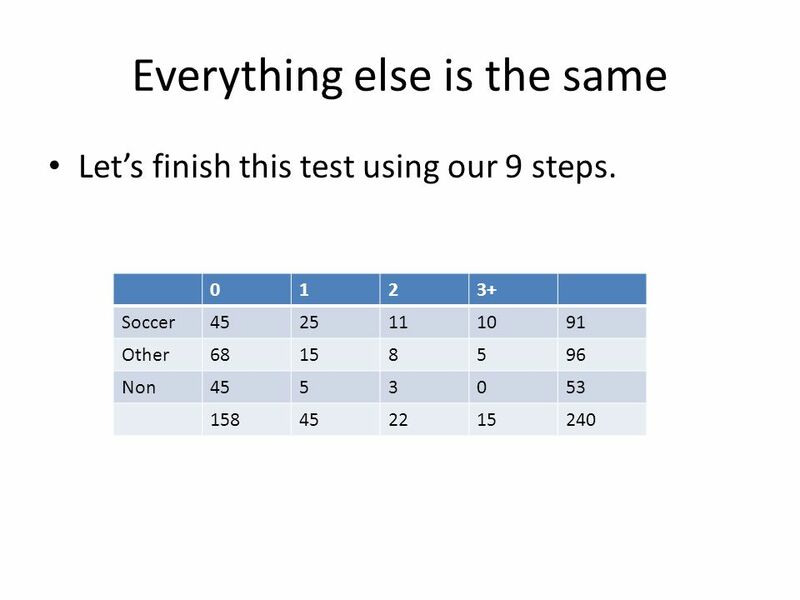 In these tests we’ll be taking n samples and looking at one characteristic. 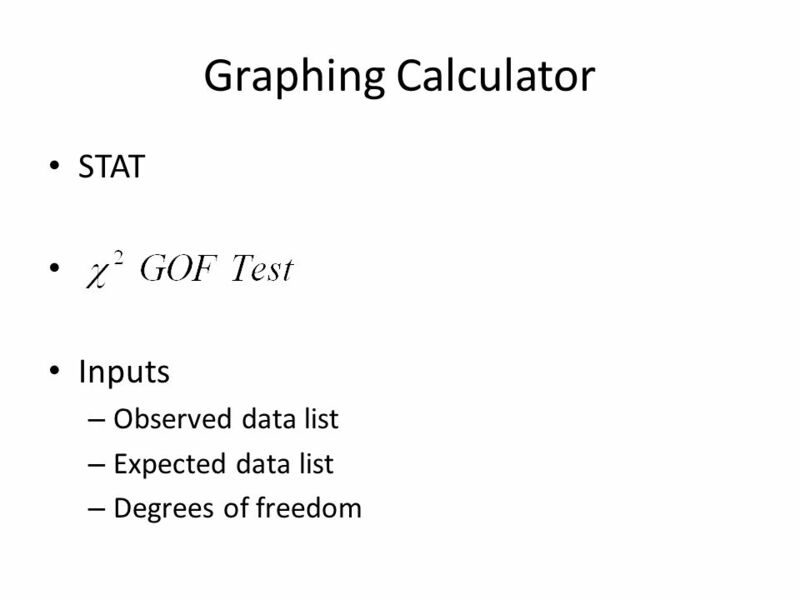 Take samples of 1000 people from 4 different countries and ask how they feel about whether the use of torture against suspected terrorist is justified. 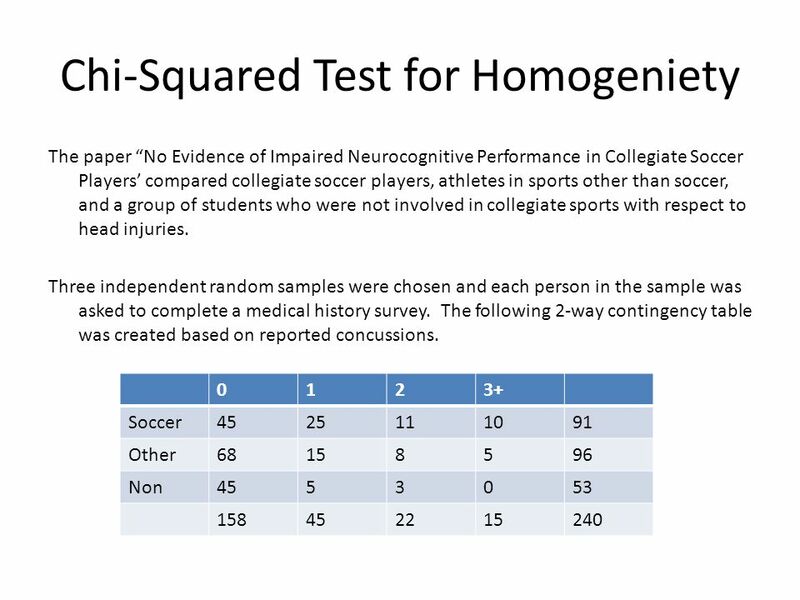 In this case we’d like to see if the responses are distributed equally (homogenous) among the countries. 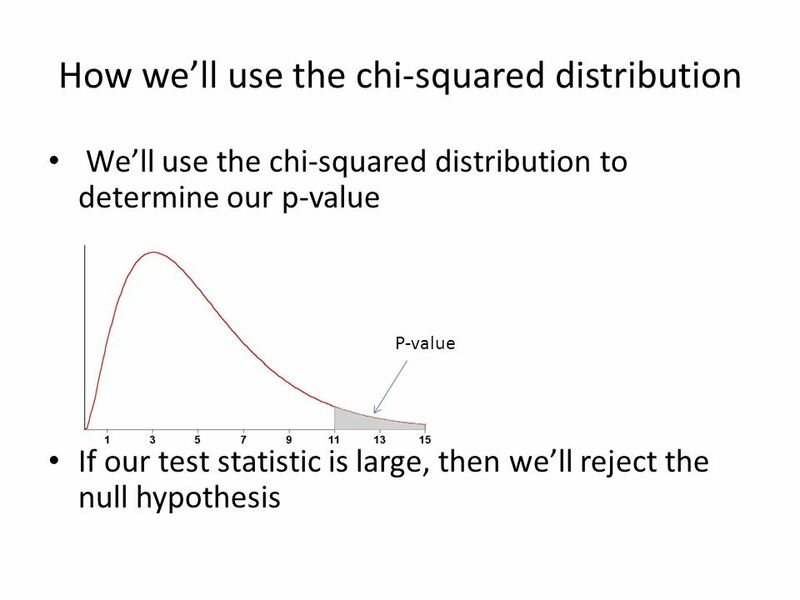 Or, we’ll take one sample and look at two characteristics. 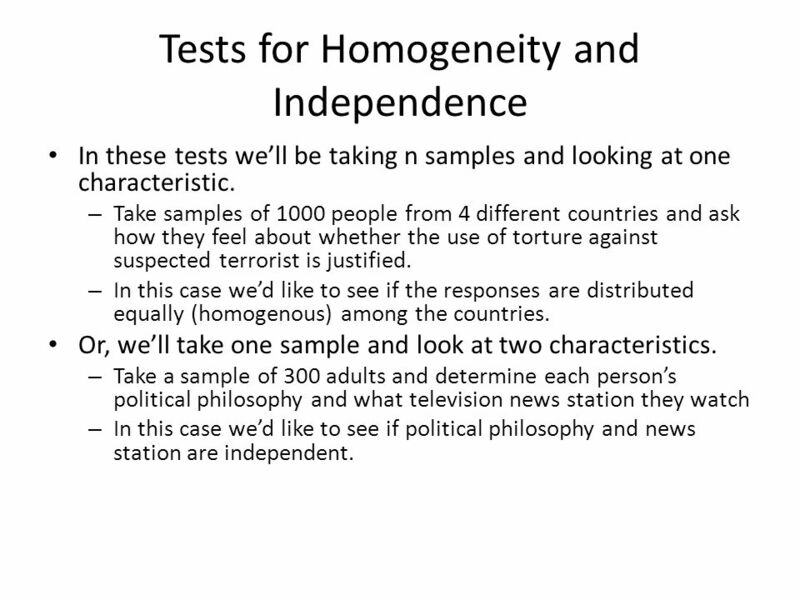 Take a sample of 300 adults and determine each person’s political philosophy and what television news station they watch In this case we’d like to see if political philosophy and news station are independent. 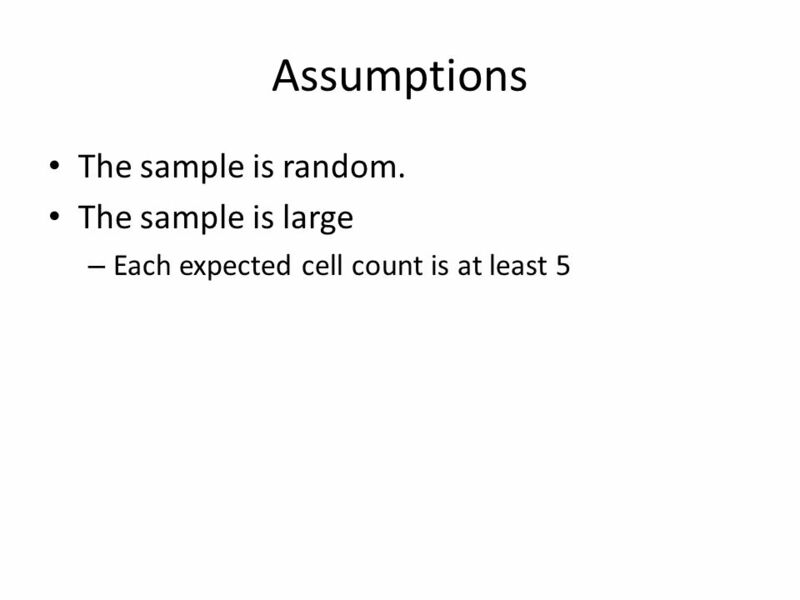 So how many samples do we have? 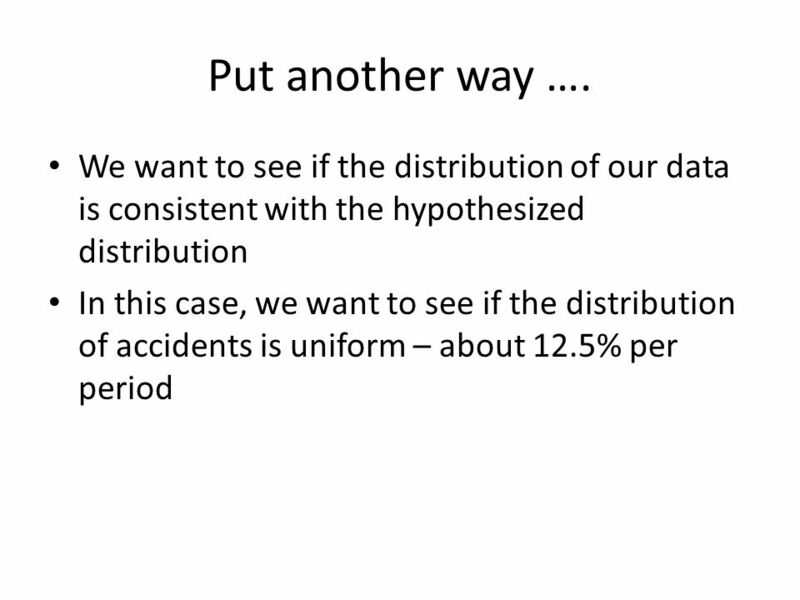 Is the data we are collecting categorical or numerical? 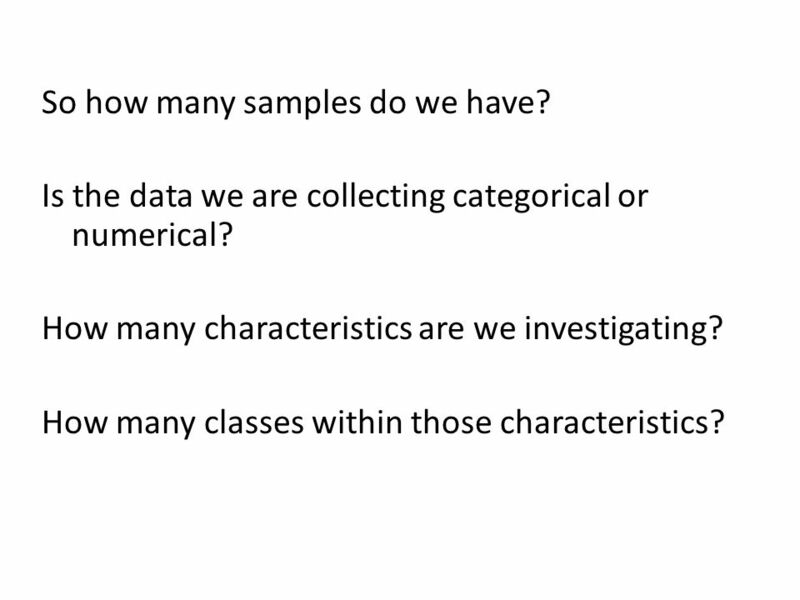 How many characteristics are we investigating? 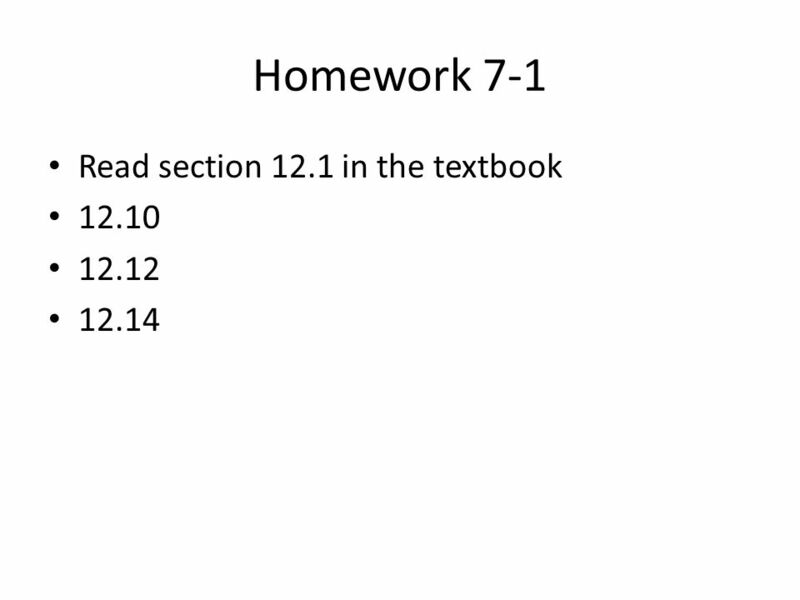 How many classes within those characteristics? 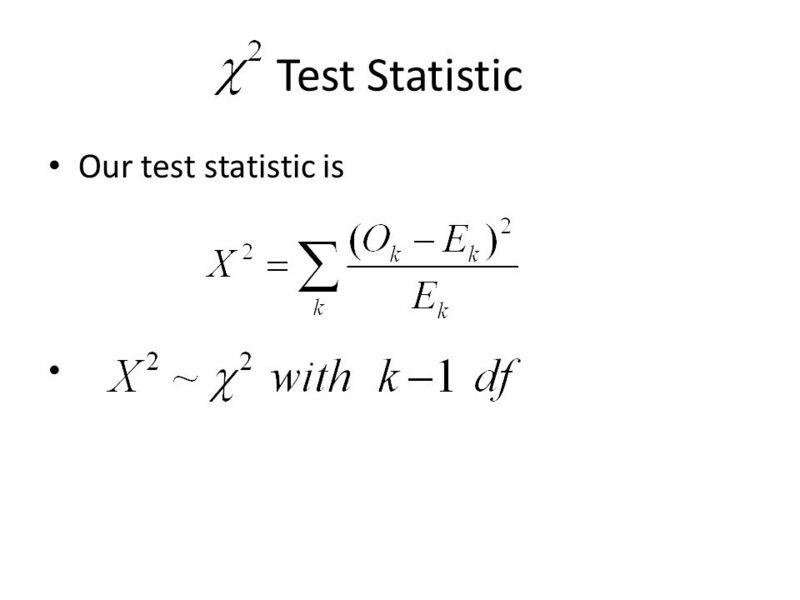 Ho: The two variables are independent. 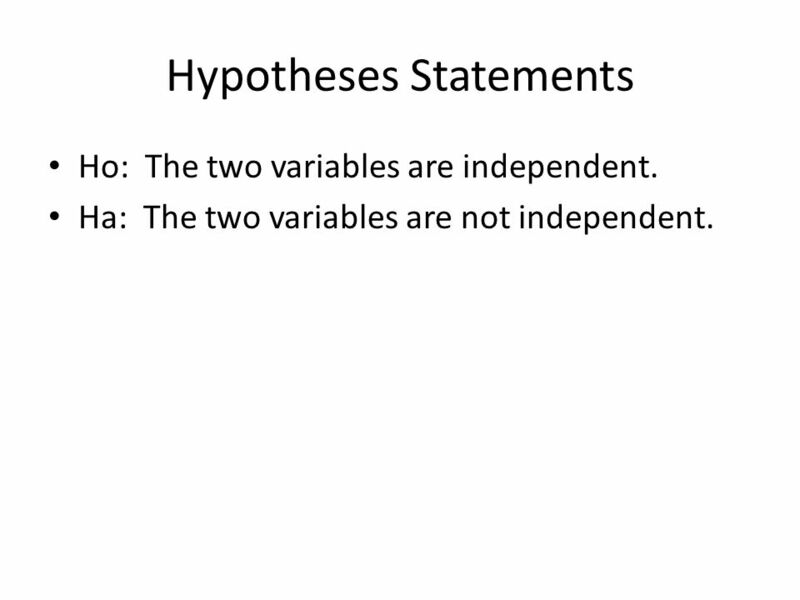 Ha: The two variables are not independent. 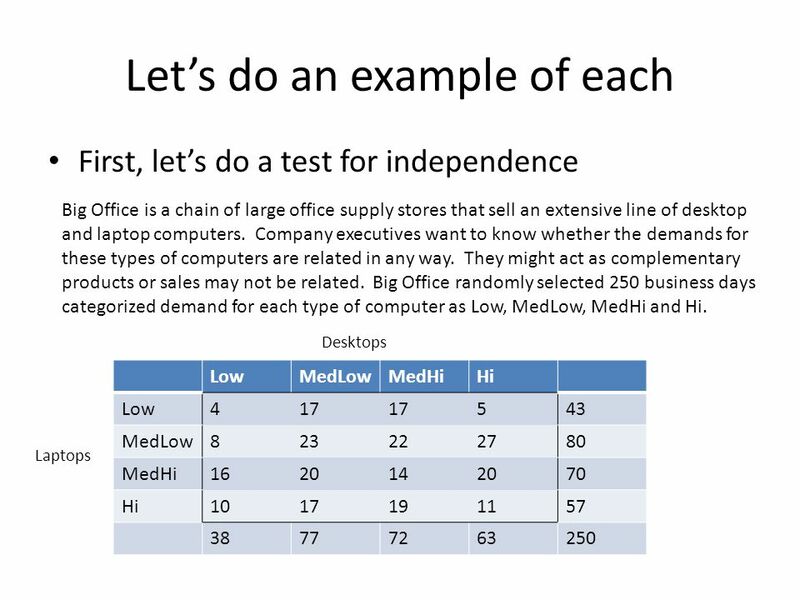 30 How do we test for independence? 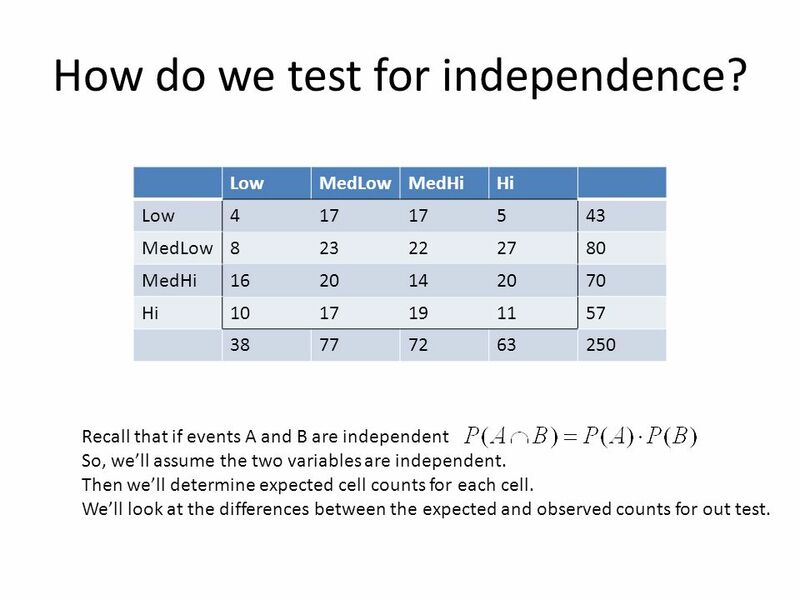 Low MedLow MedHi Hi 4 17 5 43 8 23 22 27 80 16 20 14 70 10 19 11 57 38 77 72 63 250 Recall that if events A and B are independent So, we’ll assume the two variables are independent. 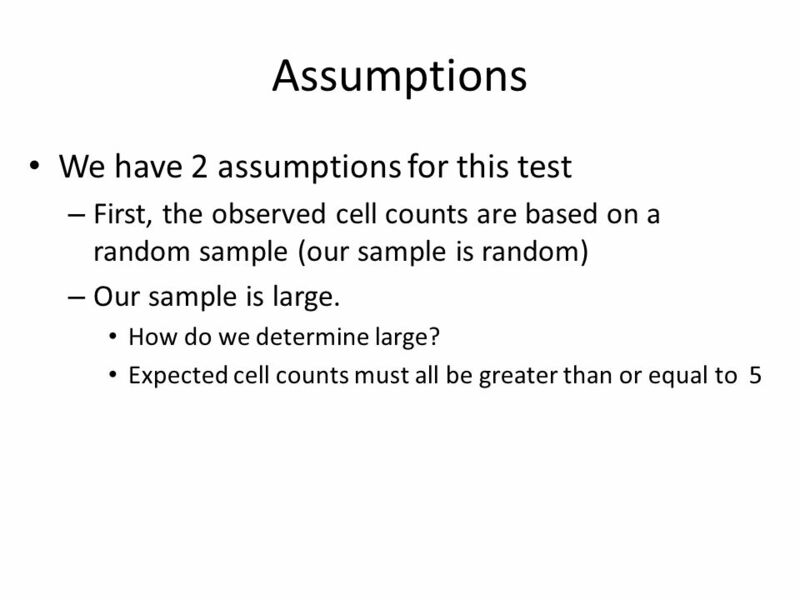 Then we’ll determine expected cell counts for each cell. 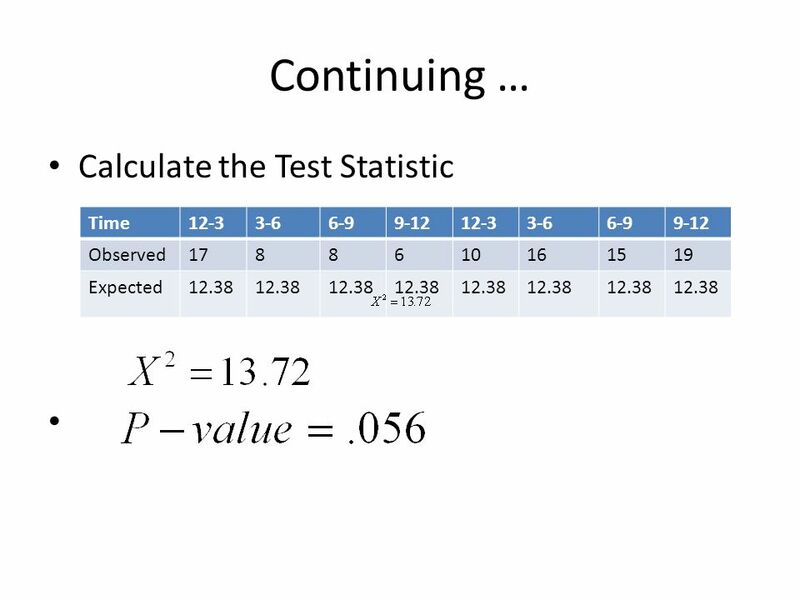 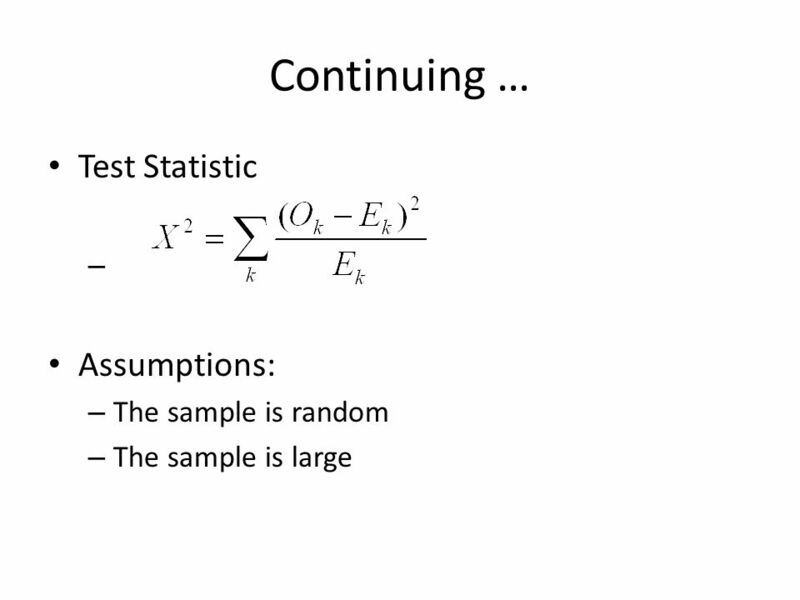 We’ll look at the differences between the expected and observed counts for out test. 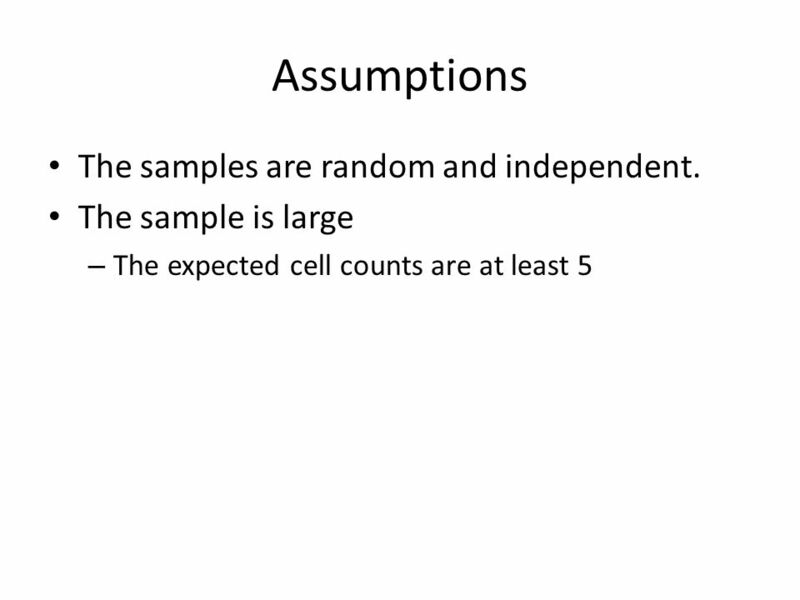 37 So how many samples do we have? 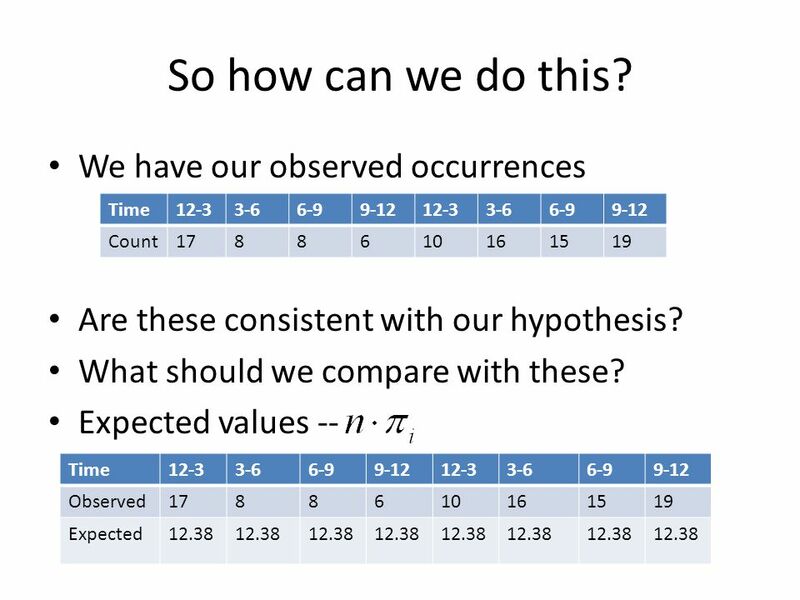 Is the data we are collecting categorical or numerical? 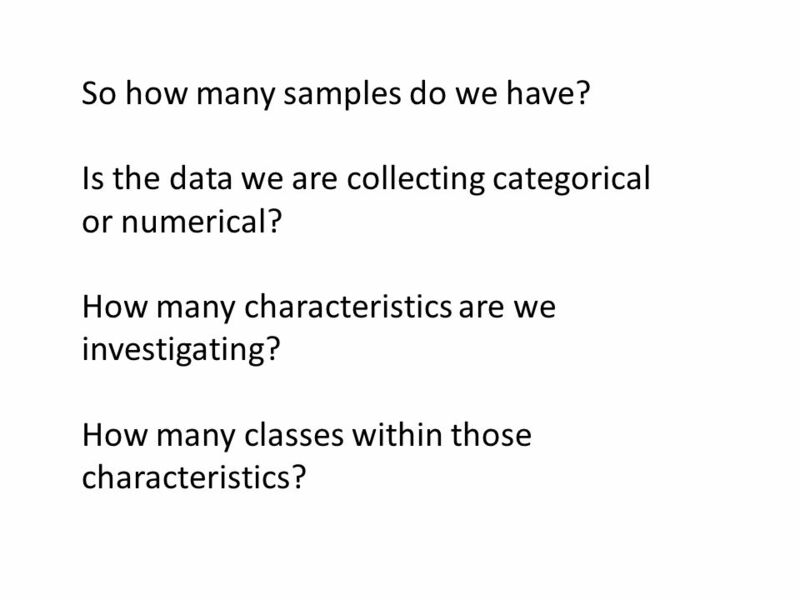 How many characteristics are we investigating? 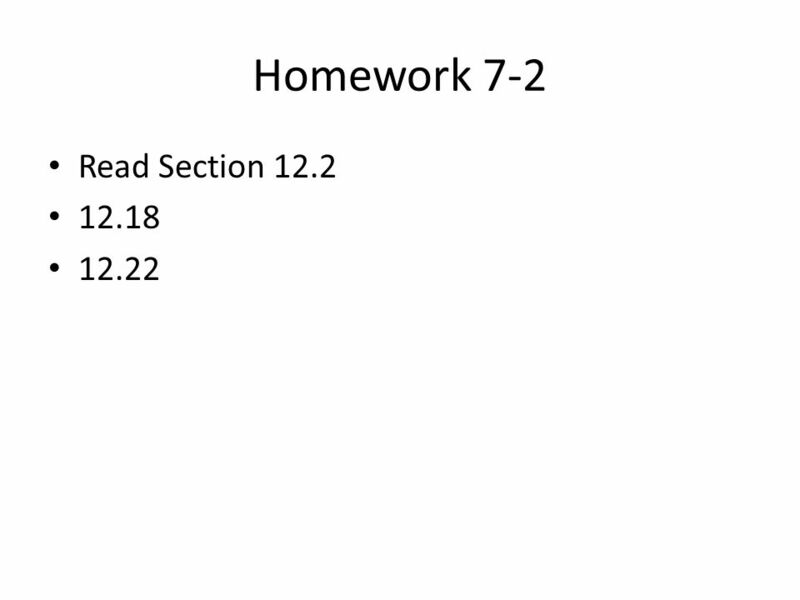 How many classes within those characteristics? 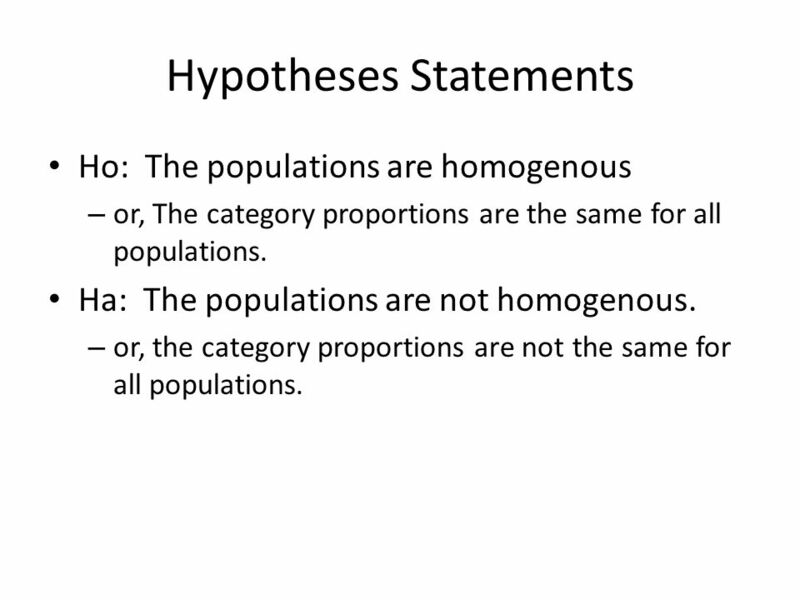 Ho: The populations are homogenous or, The category proportions are the same for all populations. 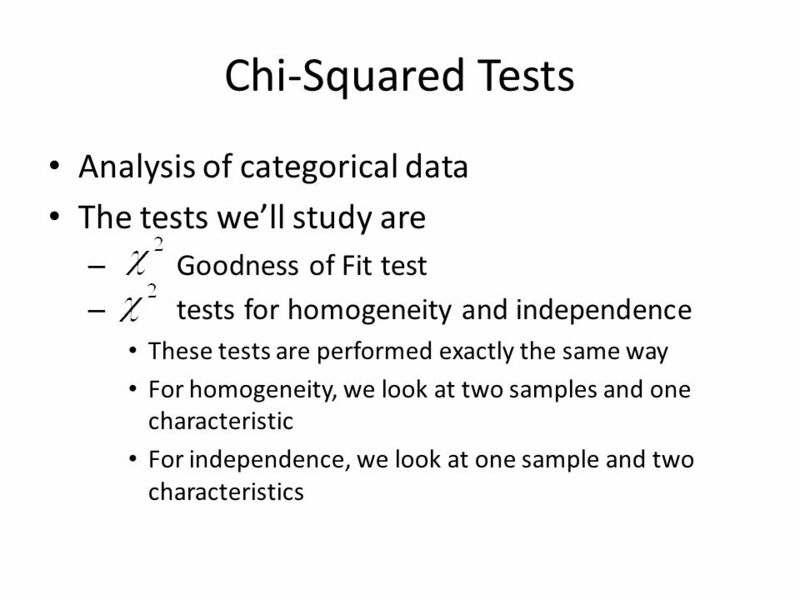 Ha: The populations are not homogenous. 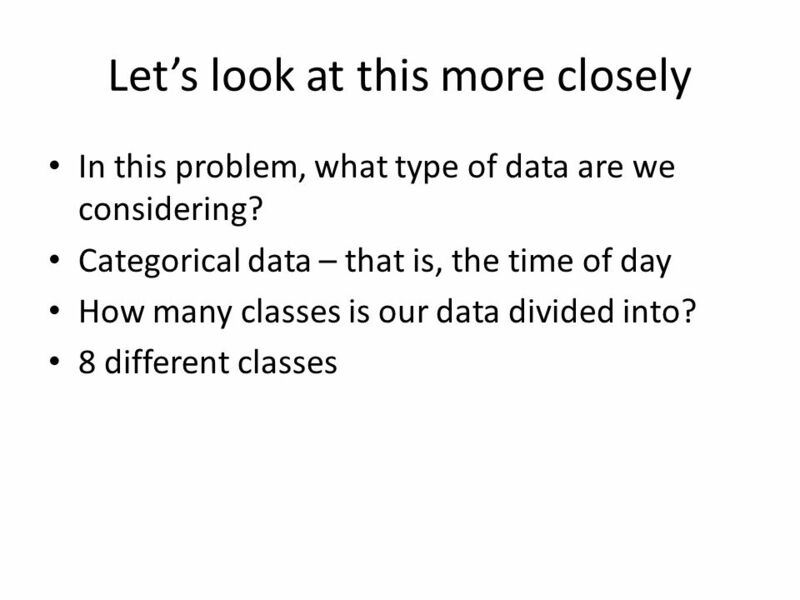 or, the category proportions are not the same for all populations. 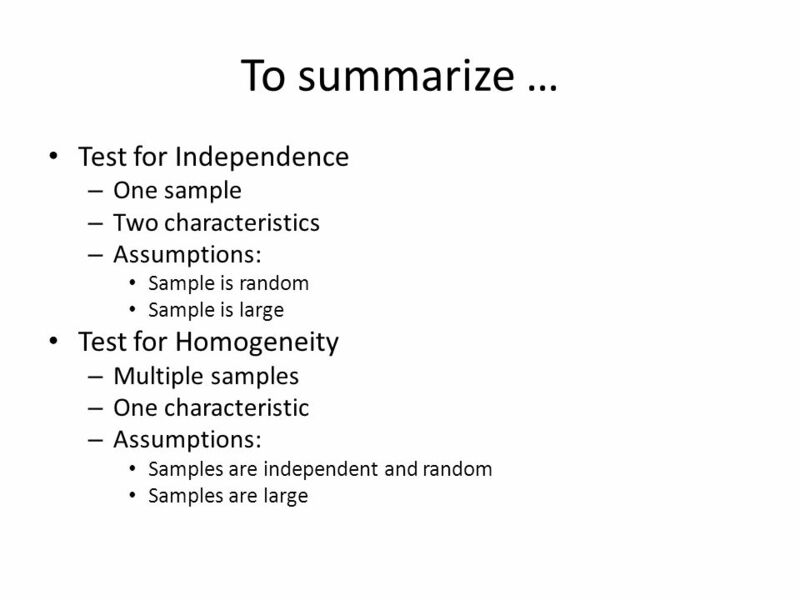 40 Assumptions The samples are random and independent. 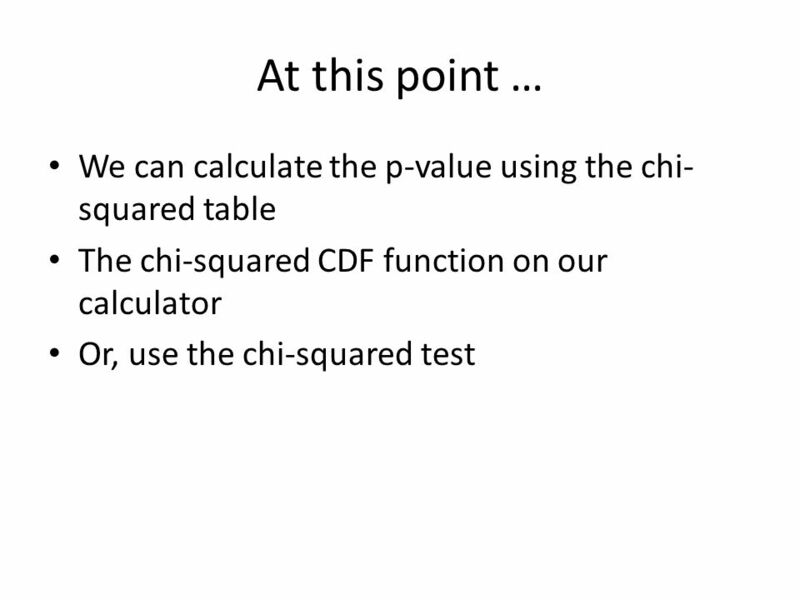 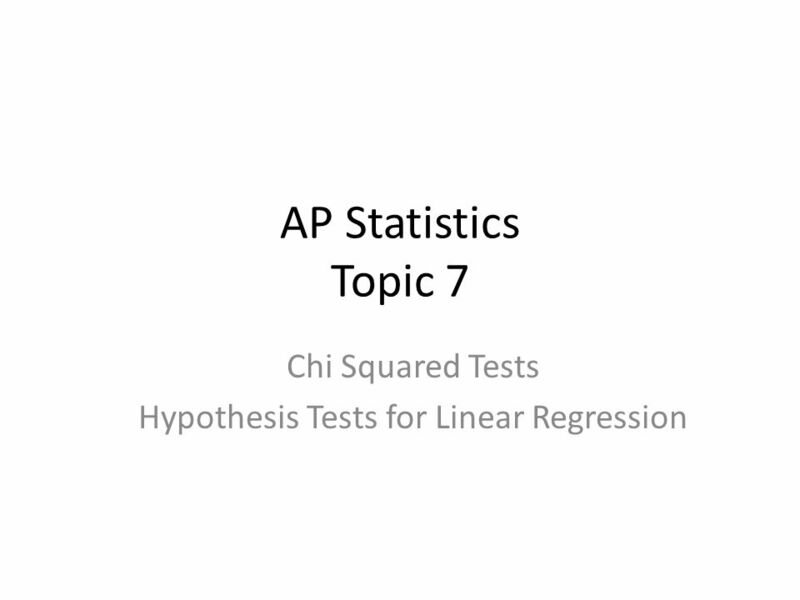 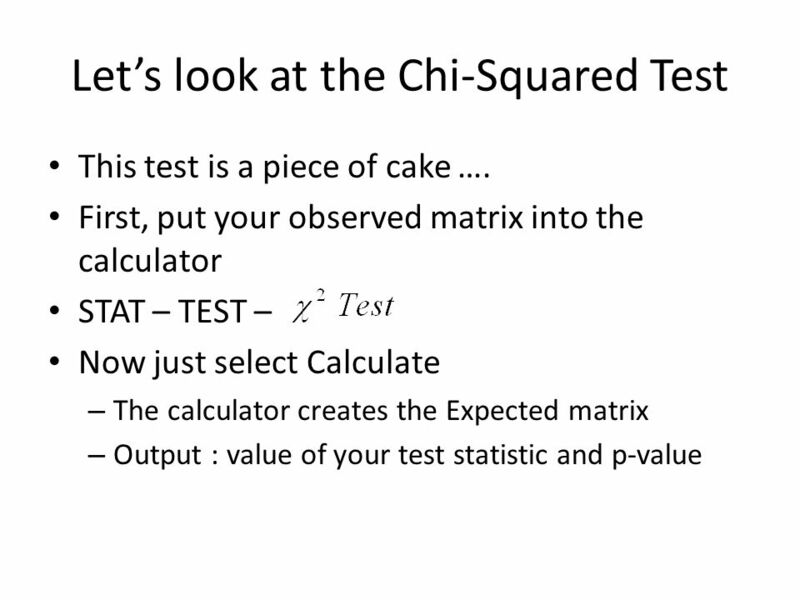 Download ppt "Chi Squared Tests Hypothesis Tests for Linear Regression"
The mystery of the CHI SQUARE Is it CHEE square Or CHAI Square?! 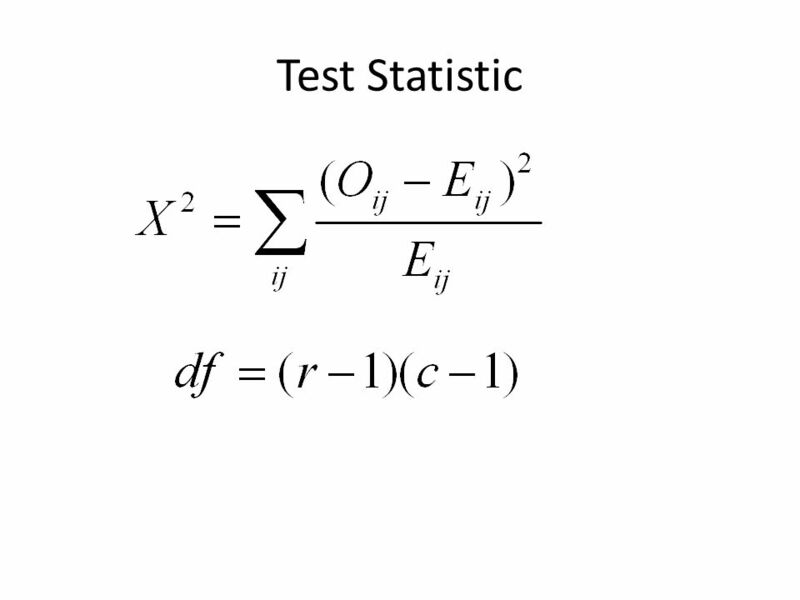 © The McGraw-Hill Companies, Inc., Chapter 10 Testing the Difference between Means and Variances. 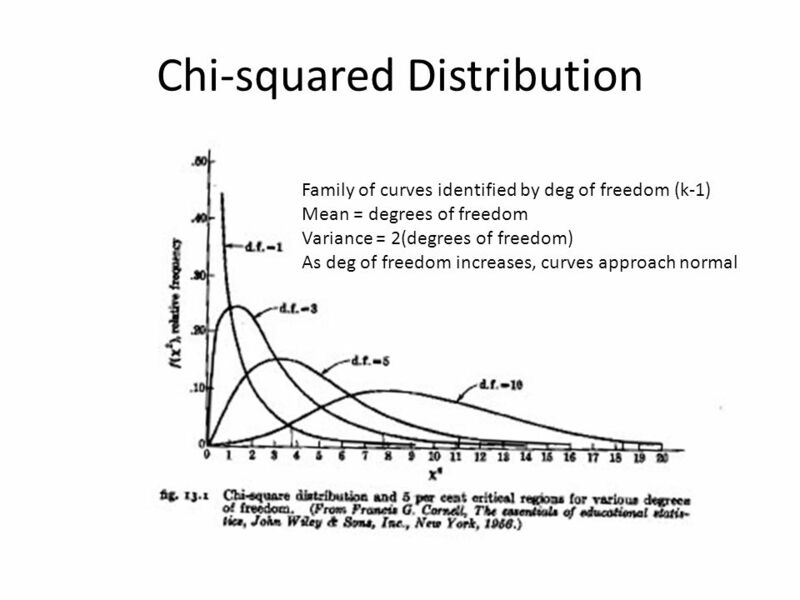 Copyright © 2014 Pearson Education, Inc. All rights reserved Chapter 10 Associations Between Categorical Variables. 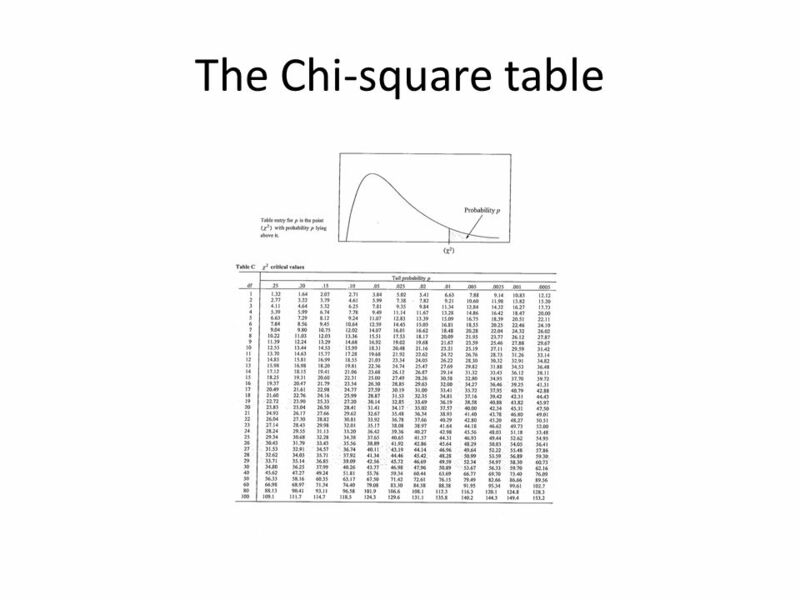 Chapter 14: Chi-Square Procedures. 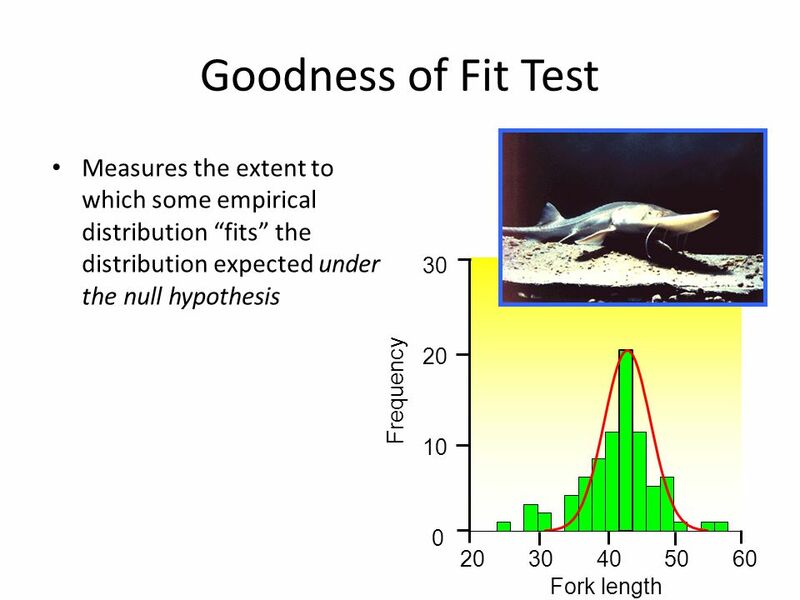 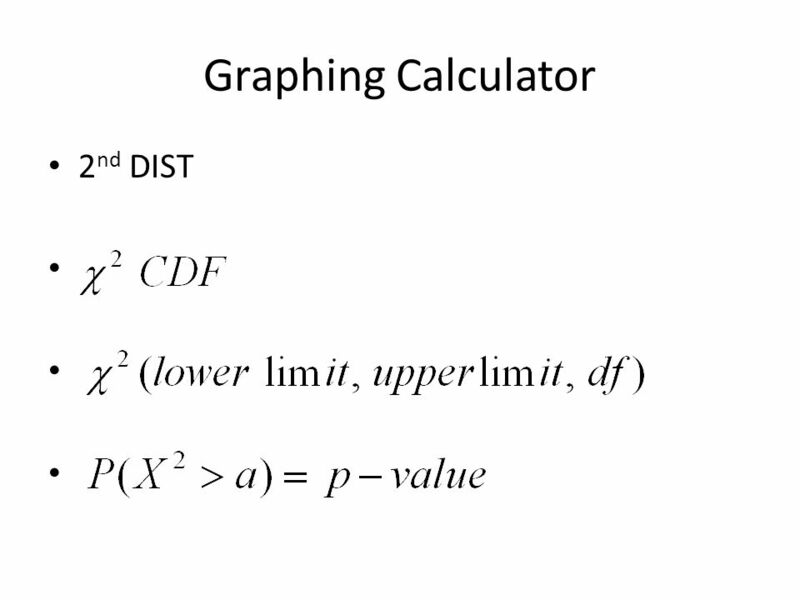 14.1 – Test for Goodness of Fit.